There is nothing that has come or will come into your family as important as the sealing blessings. 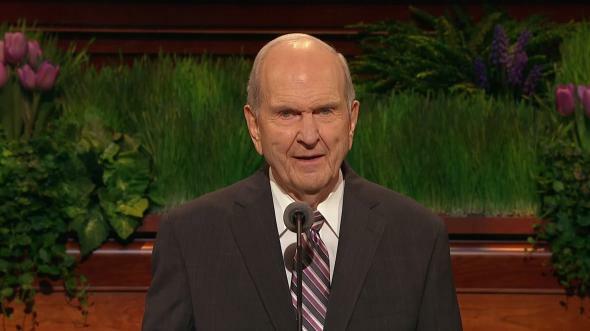 I appreciate being gathered with you in this meeting to which all the holders of the priesthood of God in the earth are invited. 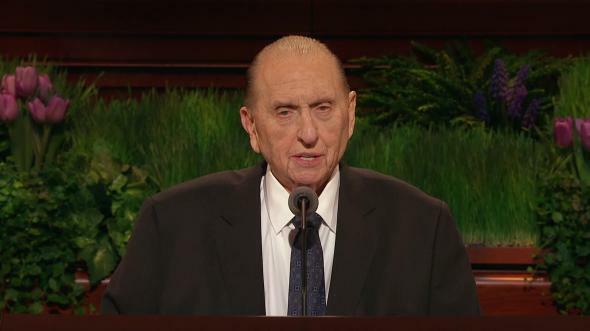 We are blessed to be presided over by President Thomas S. Monson. 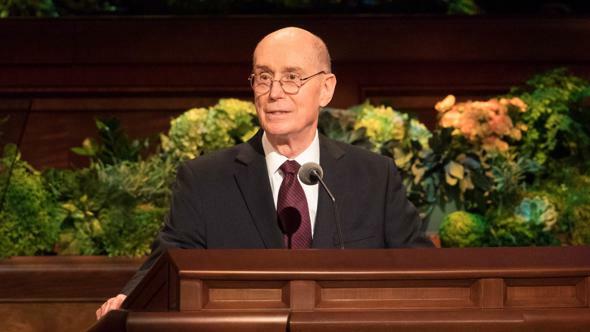 As the President of the Church, he is the one man alive who is responsible for the keys that seal families and all those priesthood ordinances necessary to attain eternal life, the greatest of all the gifts of God. 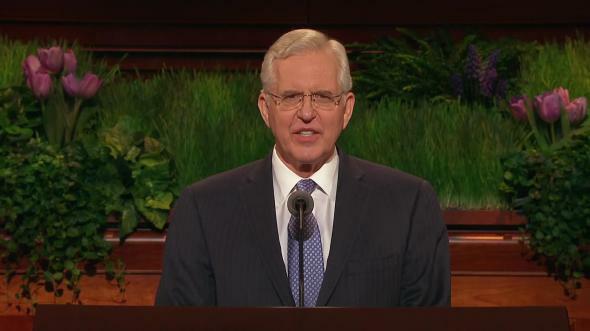 That father listening with us tonight knows the path to that glorious destination. It is not easy. He already knows that. It took faith in Jesus Christ, deep repentance, and a change in his heart that came with a kind bishop helping him feel the Lord’s loving forgiveness. 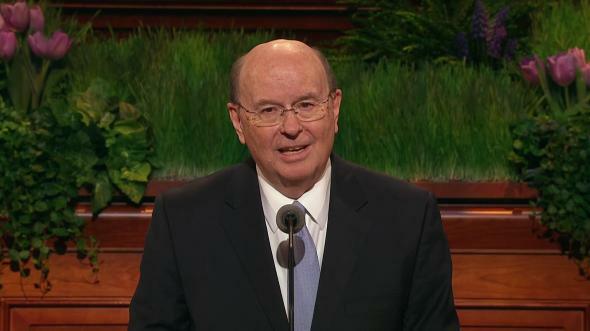 For my recently activated friend and for all the priesthood, a great work ahead is to lead in saving the part of Israel for which we are or will be responsible, our families. 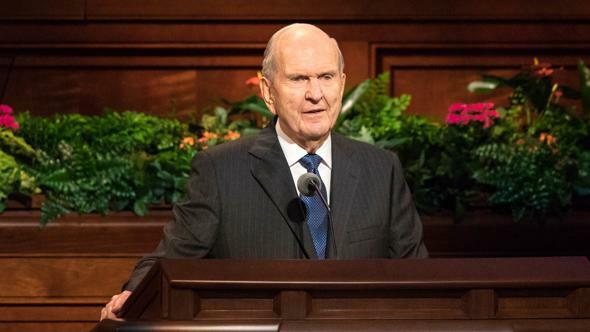 My friend and his wife knew that requires being sealed by the power of the Melchizedek Priesthood in a holy temple of God. He asked that I perform the sealing. He and his wife wanted it done as soon as possible. But with the busy time of general conference approaching, I left it to the couple and their bishop to work with my secretary to find the best date. That feeling of his heart turning has already come to my friend and to his family. It may have come to you in this meeting. You may have seen in your mind, as I have, the face of your father or your mother. It may have been a sister or a brother. It may have been a daughter or a son. They may be in the spirit world or continents away from you. 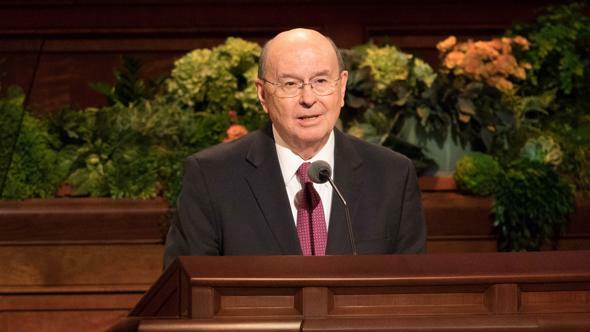 But joy came from a feeling that connections with them are sure because you are or can be bound to them by priesthood ordinances that God will honor. Melchizedek Priesthood holders who are fathers in sealed families have been taught what they must do. There is nothing that has come or will come into your family as important as the sealing blessings. There is nothing more important than honoring the marriage and family covenants you have made or will make in the temples of God. 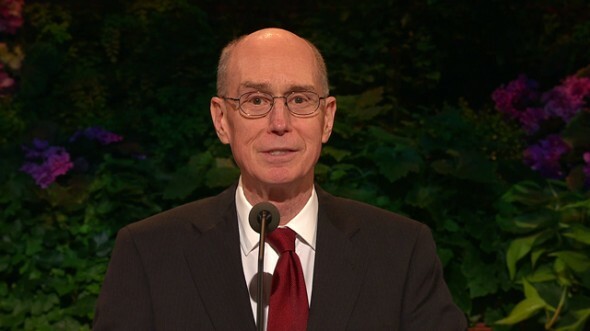 When Sister Eyring and I were sealed in the Logan Utah Temple, I did not understand then the full significance of that promise. 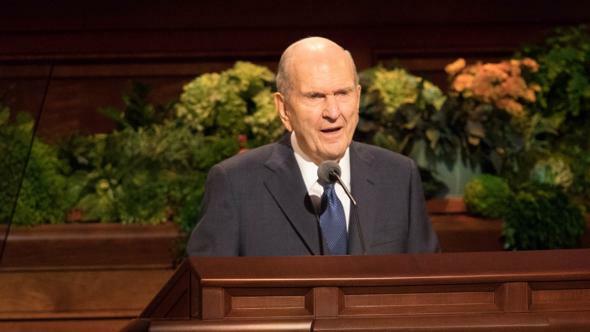 I am still trying to understand all that it means, but my wife and I decided at the start of our nearly 50 years of marriage to invite the Holy Ghost as much as we could into our lives and into our family. President Smith had just entered the room and had not yet spoken a word. 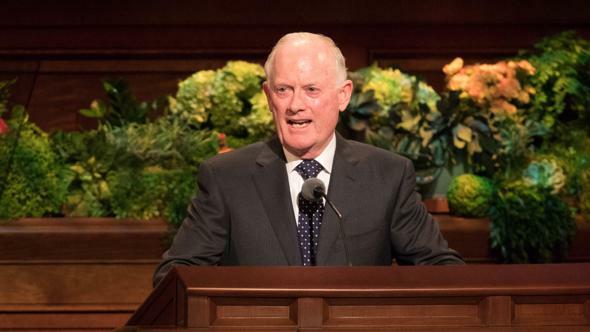 I am eternally grateful that I was able to answer because of what came down into my heart, “I know he is,” and I knew it as surely as I knew the sun was shining that he held the priesthood sealing power for all the earth. 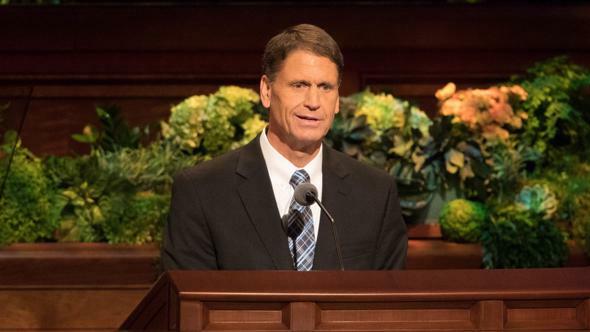 Let me suggest four things you can do as a priesthood father to lift and lead your family home again to be with Heavenly Father and the Savior. The second imperative is to love your wife. It will take faith and humility to put her interests above your own in the struggles of life. You have the responsibility to provide for and to nurture the family with her while serving others. That can at times consume all the energy and strength you have. Age and illness may increase your wife’s needs. If you choose even then to put her happiness above your own, I promise you that your love for her will increase. 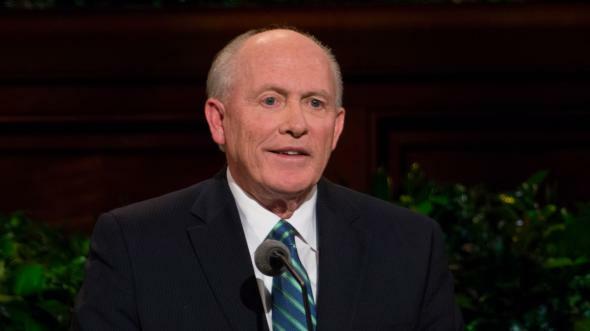 One way for you to reproduce the successes of Father Lehi is by the way you lead family prayers and family time, such as family home evenings. Give children opportunities to pray, when they can pray, for each other in the circle who need blessings. Discern quickly the beginnings of discord and recognize acts of unselfish service, especially to each other. When they pray for each other and serve each other, hearts will be softened and turned to each other and to their parents. The fourth opportunity to lead your family in the Lord’s way comes when discipline is needed. We can meet our obligation to correct in the Lord’s way and then lead our children toward eternal life. That is a high standard for us, but when we with faith control our tempers and subdue our pride, the Holy Ghost gives His approval, and sacred promises and covenants become sure. 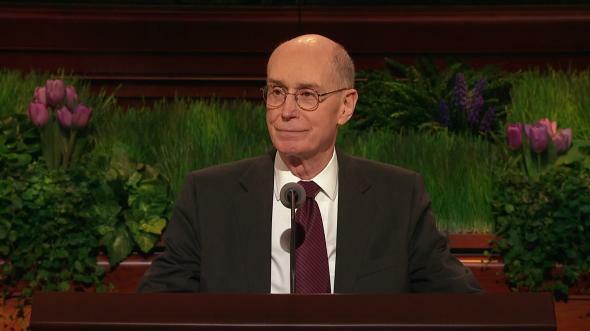 You will succeed through your faith that the Lord sent back the keys of the priesthood, which are still with us—with a sure bond of love with your wife, with the Lord’s help in turning the hearts of your children to each other and to their parents, and with love guiding you to correct and exhort in a way that invites the Spirit. I know that Jesus is the Christ and is our Savior. 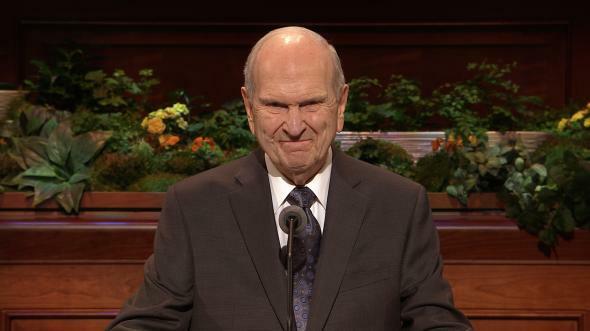 I testify that President Thomas S. Monson holds and exercises all the keys of the priesthood on the earth today. I love and sustain him. I love and pray for you. In the sacred name of Jesus Christ, amen. 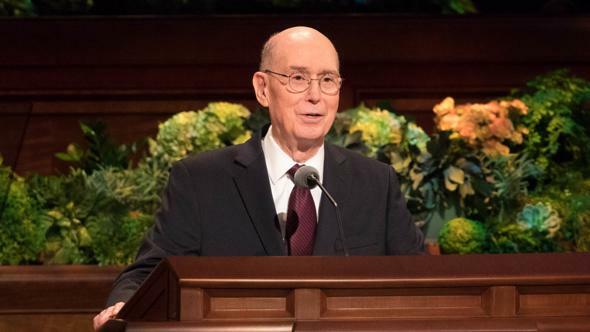 See Joseph Fielding Smith, Sealing Power and Salvation, Brigham Young University Speeches of the Year (Jan. 12, 1971), speeches.byu.edu. Joseph Fielding Smith, quoted by Harold B. Lee, in Conference Report, Oct. 1944, 75. 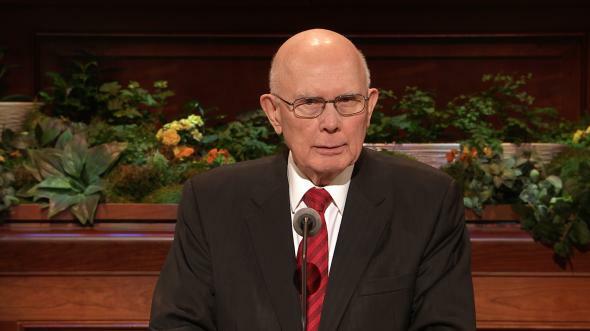 Boyd K. Packer, “The Holy Temple,” Liahona and Ensign, Oct. 2010, 34. Teachings of Presidents of the Church: Joseph Smith (2007), 311. Melvin J. Ballard, quoted by Harold B. Lee, in Conference Report, Oct. 1970, 111. Ezra Taft Benson, “Salvation—a Family Affair,” Tambuli, Nov. 1992, 3, 4; Ensign, July 1992, 2, 4.